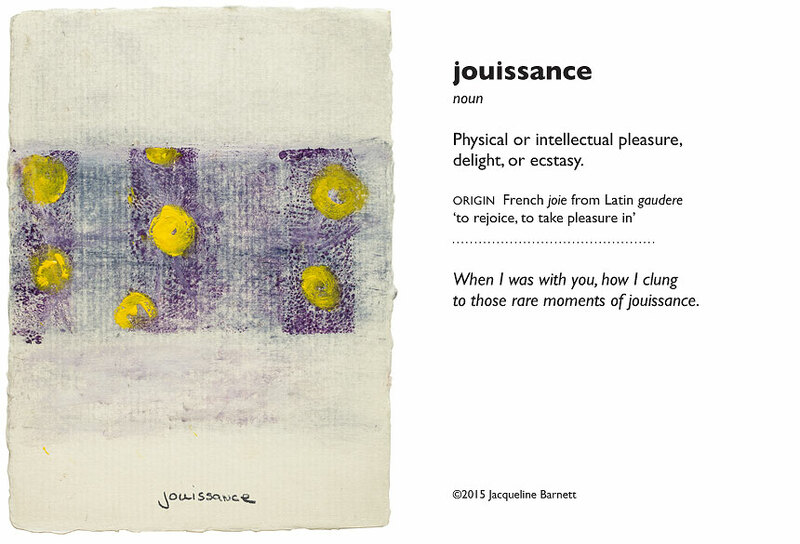 Not Only But Also: Art in Vocabulary is a set of 92 card-sized reproductions of paintings by Jacqueline Barnett that pair a painting with a vocabulary word. The word is often challenging and features the definition, etymology, and usage in the form of a whimsical sentence. 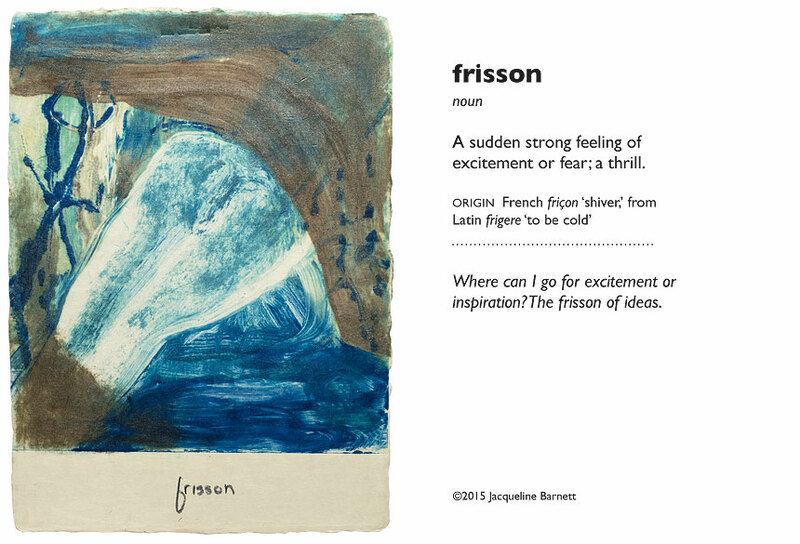 Experience the frisson of learning which quickly becomes jouissance when you first use the word in a sentence. This hybridity of paintings and words makes the process challenging — and fun. 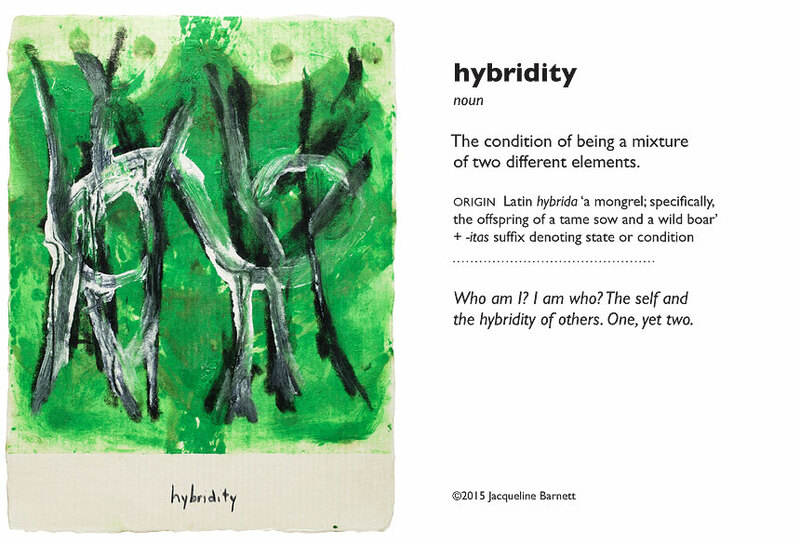 The 92 prints are from original monotypes printed on Washi paper, 6 x 8 inches. Each card is 3.75 x 5 inches and the set includes one display holder. 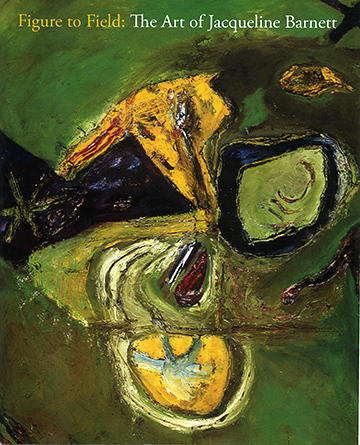 Jaqueline Barnett’s lifetime of art is the subject of a book by Matthew Kangas, art critic. Publication date is January 2016. Soon available to order on Amazon.